17 Scariest Horror Movies of the Past 50 Years, Scary Horror Movie Moments – AARP. Halloween has always been my favorite holiday, but I just haven’t been getting into it lately. In 2013 I was waiting for my new sofa to be delivered so I limited myself as to what to put out and decorate (you know the damage delivery people can do). This year (2014) I started to put stuff out but I just didn’t “feel” it. One of my orange and black bins is still sitting on my kitchen floor – untouched and at work I have a minimal decoration outside my cube. I feel like … a failure. It hasn’t stopped me from watching and rewatching some of my favorite horror movies and special programs, though I haven’t seen the replay of that “50 Scariest Movies” or whatever it is. I came across this list on my AARP Bulletin this morning and found it interesting because there are some more up-to-date movies on it and since I do write for baby boomers I thought you might find it interesting, too. The Conjuring: Paranormal investigators Ed (Patrick Wilson) and Lorraine (Vera Farmiga) Warren work to help a family terrorized by a dark presence in their farmhouse. There’s a sequel in the works. The Warrens are real paranormal investigators. Sinister: A true-crime writer (Ethan Hawke) finds a cache of 8mm home movies films that suggest the murder he is currently researching is the work of a serial killer whose career dates back to the 1960s. 8MM: A private investigator (Nicholas Cage) is hired to discover if a “snuff film” is authentic or not. Joaquin Phoenix is superb in this movie. The Descent: A caving expedition goes horribly wrong, as the explorers become trapped and ultimately pursued by a strange breed of predators. 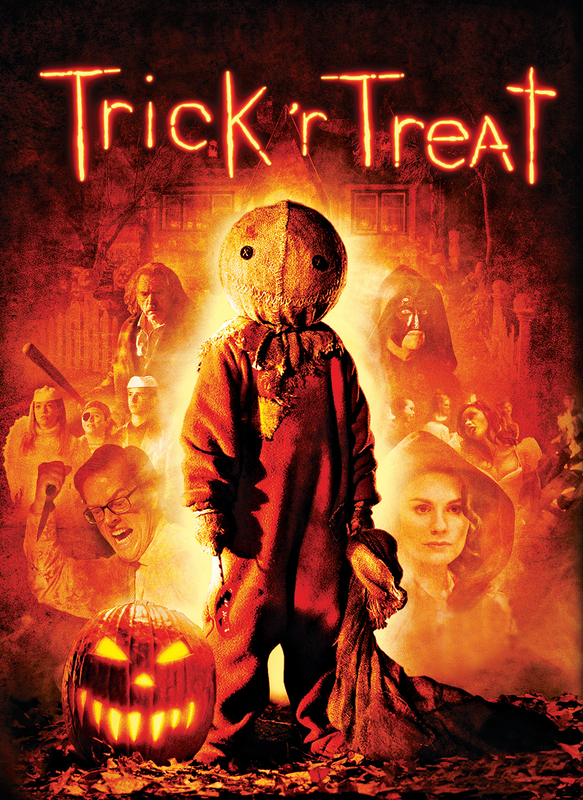 Trick ‘r Treat: Four interwoven stories that occur on Halloween: An everyday high school principal has a secret life as a serial killer; a college virgin might have just met the one guy for her; a group of teenagers pull a mean prank; a woman who loathes the night has to contend with her holiday-obsessed husband. This film is very clever and well done. One I watch every Halloween season along with the Jeepers Creepers films (I and II).